The obesity problem is growing year on year, and it’s costing Australian families dearly. Australia’s last large-scale collection of data on obesity by the Australian Bureau of Statistics (ABS) in 2011 showed that almost three quarters of Australian males over the age of 18 were either overweight or obese. In females over 18 years of age that figure was more than 50%. 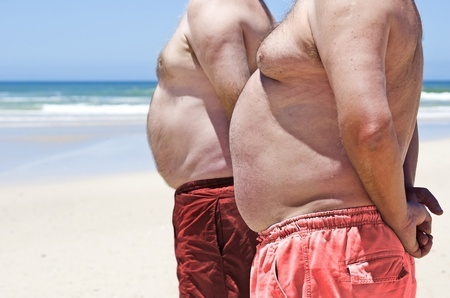 This equates to around 11 million overweight or obese adults in Australia. The study recorded a steady shift over the last two decades towards the higher end of the Body Mass Index (BMI). This has been driven mainly by weight gain rather than by changes in height. In general, rates of overweight/obesity increase with age. Rates peak for males between 45 and 74 years of age (at around 80%), and between 55 and 74 years of age for females (at around 70%). Those 2011/12 figures are likely to have grown over the last few years. Reports indicate over 14 million people are now either obese or overweight in Australia. There are a number of clearly defined consequences of being overweight or obese. These are known as ‘obesity related diseases.’ They include diabetes mellitus, high blood pressure, heart disease and stroke. Obesity can also lead to obstructive sleep apnoea (shorts periods where a person stops breathing while sleeping). People can also experience back and joint problems, depression and increased risk of a number of cancers. This is not an exhaustive list. Each of these problems in isolation can lead to major long term deterioration in health and a shortened life expectancy. Cumulatively, they can have a devastating effect on an individual’s health and quality of life. The costs of rising obesity rates to the Australian health system is great. But the cost to Australian families, is perhaps greater. What’s The Solution To The Obesity Problem? The World Health Organisation (WHO) now recognises that obesity is a chronic disease. At Weight Loss Solutions Sunshine Coast, we understand this. Chronic disease can arise from a number of complex causes. That’s why we take a team approach in the care of all of our patients. Like many other chronic diseases, the best management and outcomes are achieved through the integrated care of the patient. This includes considered professional input from surgeons, physicians, dietitians, psychologists and physiologists, just to name a few. That care is tailored specifically to each individual. Care is constantly re-evaluated as the patient journey towards better health progresses. Make a change for a better life, and better living.